It’s a competitive job market out there and employers are looking for applicants with more than just a degree these days. They want people with experience but, more importantly, they want people with skills that they can apply to the job. Look through any online job database and what do you see? Companies looking for people who have computer skills, people skills and the ability to understand and implement strategies quickly and effectively. If you’re still using the old “hunt & peck” method of typing, you’re selling yourself short. 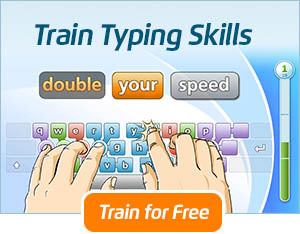 The fact is this: touch typing is one of the easiest skills to learn and one that can also help you earn. So, now that you’ve decided to brush up on your keyboarding skills, how can they help you in today’s job market? Well, we’ve put together a list of five jobs that cater to someone with your high level of typing skills. And, the best part is that any of these jobs could be done both working for an employer and at home on a freelance basis if you wished. Who knew that learning to touch type could open the door to so many possibilities? If you are the kind of person who excels at paying attention to detail, planning and works well with others, then becoming an administrative assistant might be the job for you. 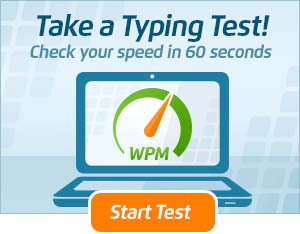 In order to excel in this field, you’ll need to be able to type at least 60wpm accurately. As an administrative assistant, you’ll be working in places like doctor’s offices, attorney’s offices, sales offices and executive headquarters. At the highest level, you could also work as an executive assistant to the CEO of a large corporation. Top notch typing skills are a must here as you’ll be performing many time sensitive tasks such as communicating with the organization through emails, creating documents and spreadsheets and setting up meetings. According to the U.S. Bureau of labor statistics, the need for administrative assistants is expected to rise 11% through 2018. The salary isn’t too shabby either at an average of $43,240 per year. Do you have an eagle eye for mistakes? If you do, then becoming an editor might be your true calling. But, if you don’t have the typing skills to match, you might miss those tight book deadlines. As an editor, you could work for a publisher, magazine or even freelance for private clients. And, the job outlook is good, too. How does $30 or more an hour sound to you? That’s the minimum where most editors start. Quality control is your domain and since you’ll likely have multiple projects going at once with tight deadlines, you’ll need to be able to correct mistakes with lightening speed and accuracy. Those same magazines and publishers who hire editors also hire writers as well. And, while some of them work directly for the organizations, many also enjoy a more flexible lifestyle working on a freelance basis. Either way, stellar keyboarding skills are a must if you are going to be able to get your stories done on time. Freelance writers who can type quickly and accurately have the ability to take a lot of assignments and for them, the earning potential can soar well into six figures per year. If you have a good ear and a bit of patience, medical transcribing might be a good fit for you. But, you’ll also need some swift fingers on the keyboard if you want to make this work. Because medical transcriptionists deal with legal medical documents and also have to understand medical jargon, this position also requires special training. The upside, however, is that it can be done in the comfort of your home. Average salary for a medical transcriptionist is around $40k per year if you type around 60-75wpm. For an experienced transcriptionist who can type over 100wpm, the salary can sky rocket to over $70k per year. Do you find yourself hanging on the edge of your seat watching murder mysteries and CSI type shows? If that’s your thing, you might make an excellent paralegal. Paralegals offer support for busy attorneys and can be found working in law and government offices. They perform tasks like drafting documents, organizing files and doing research. As a paralegal, you’ll be dealing with time sensitive documents and time is of the essence. That means that you’ll be relying on your touch typing skills to effectively meet those deadlines. And, with an average salary in the mid $40,000’s, it’s certainly worth brushing up on your keyboarding skills. 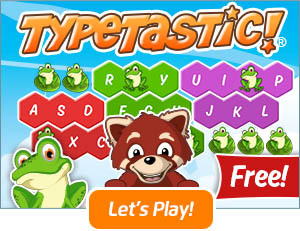 To begin honing your touch typing skills, take our free typing test and see how you stack up! ← Do Typing Games Really Increase Learning in the Classroom? Very helpful and fun . Thank you.